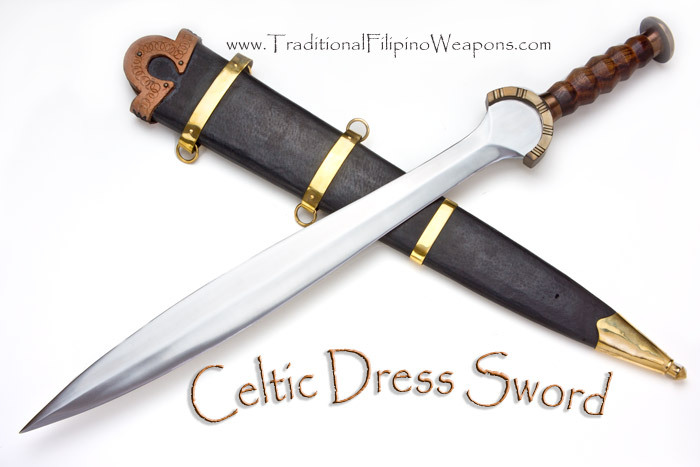 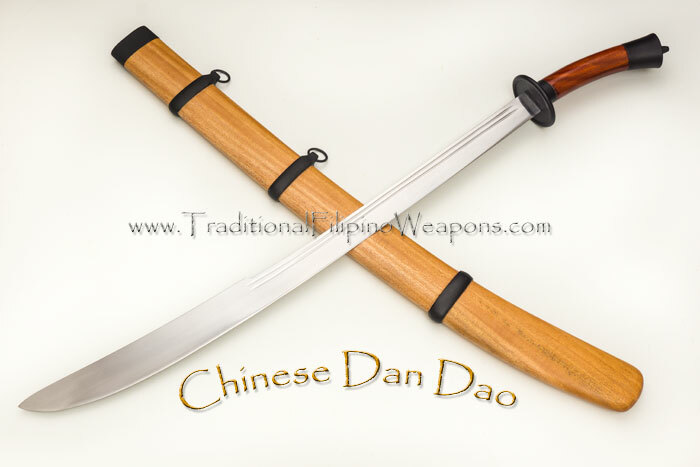 Celtic Dress Sword – TFW continues to broaden out to encompass blades of all cultures and our Celtic Dress Sword is one of two new European swords to be added to our cataloge of international edged weapons. 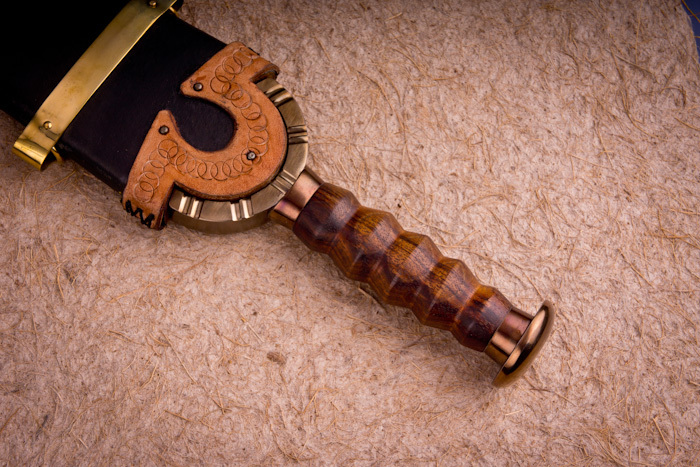 The Celts hailed from Scotland, Wales, Cornwall, the Isle of Man and Brittany, also known as the Six Celtic Nations, and also all known as fearsome warriors. 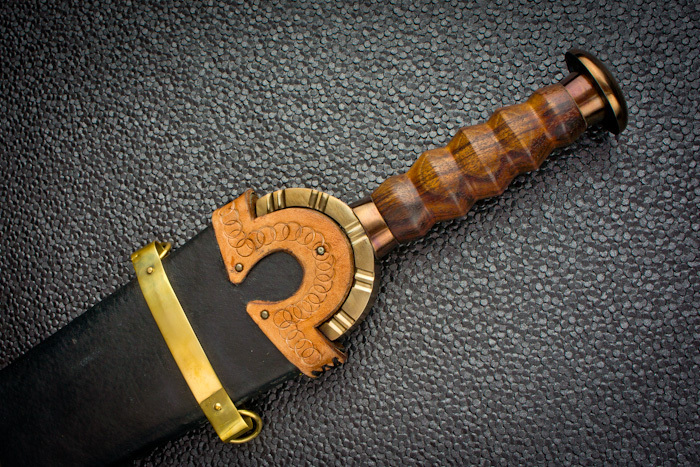 This fine Celtic dress sword is historically accurate in detail, yet unique to TFW. 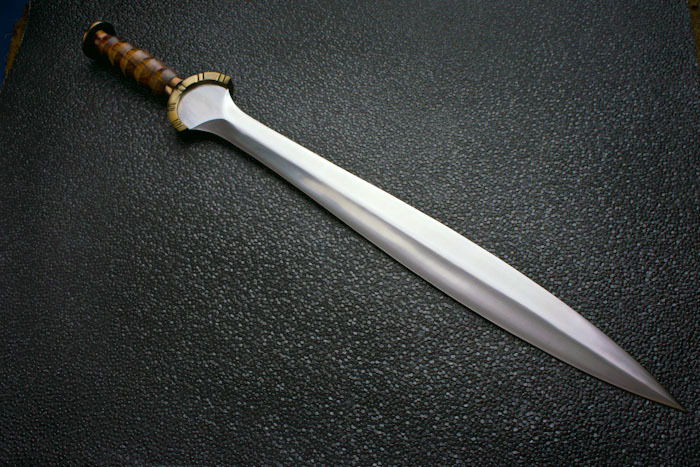 A heavy double-edged 21″ blade is razor sharp and thick of our special 5160/D2 blend, yet alive in the hand due to a well balanced forging. 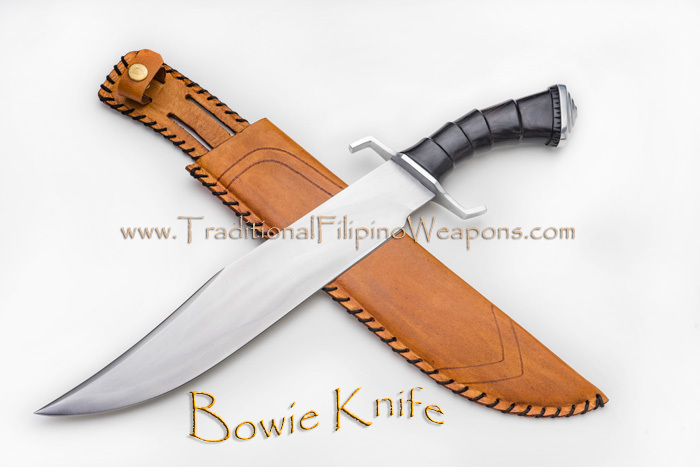 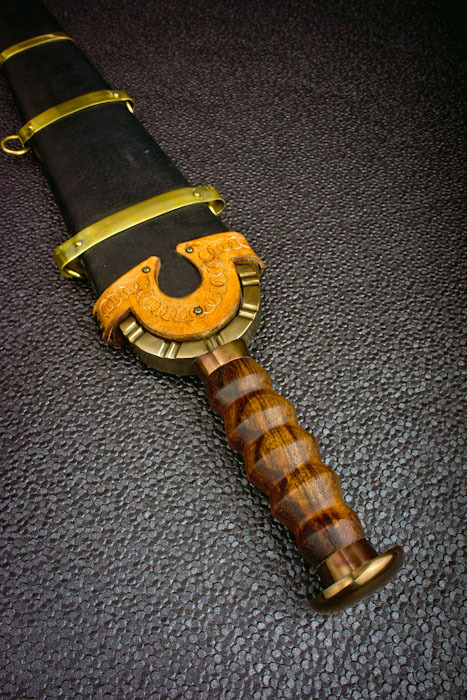 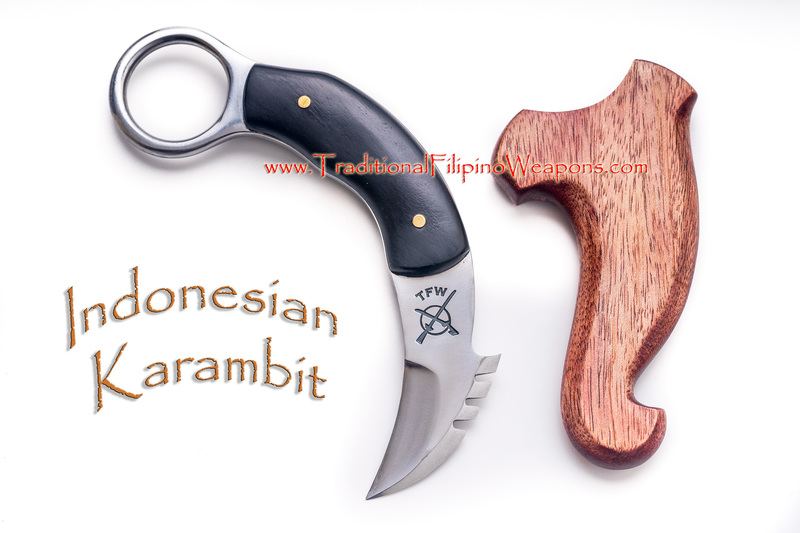 The beautiful hardwood handle and semi-circular thick brass guard blend artisically into the blade, which in turn fits artistically into the leather wrapped and heavily detailed scabbard. 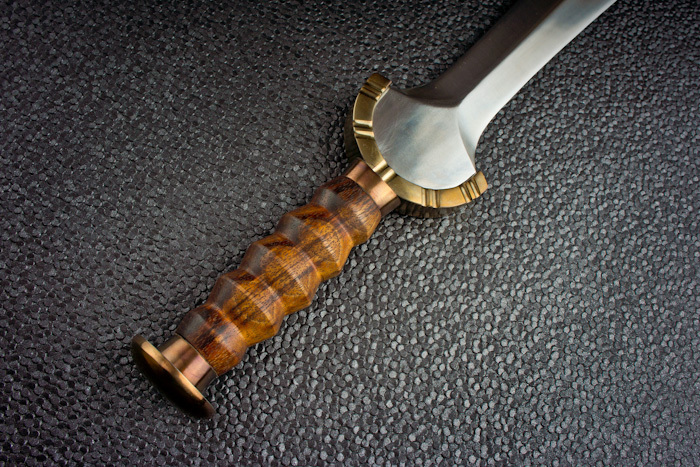 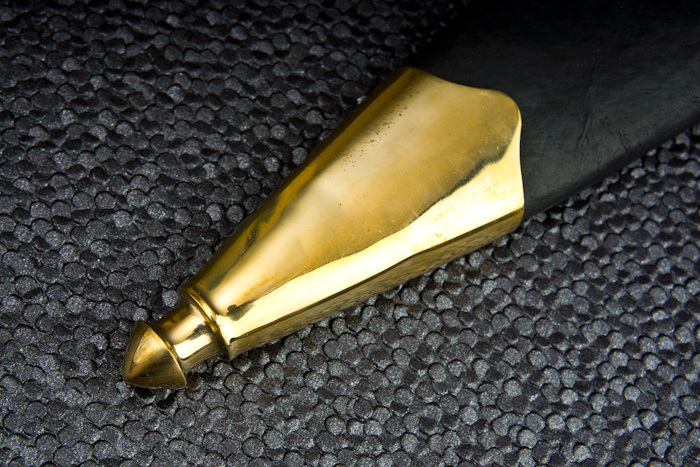 The pommel is also solid brass. 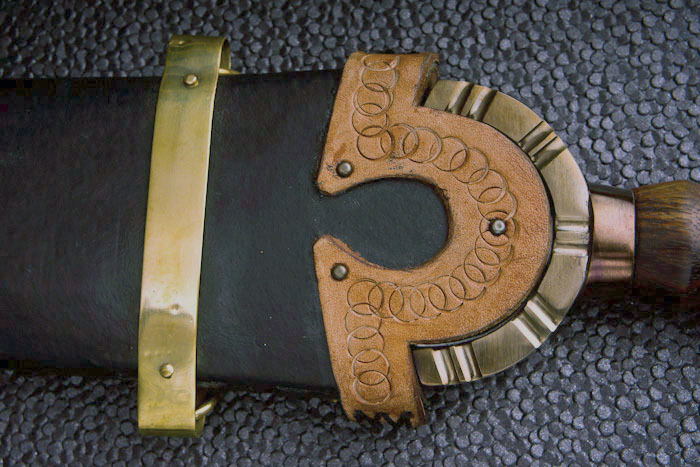 Detail abounds on the scabbard which is complete with four brass ring anchor points for traditional carry with the method your prefer.